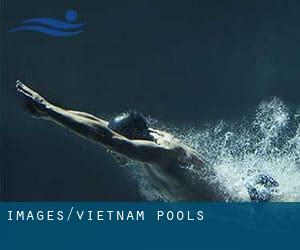 Most of the Vietnam Pools supply both open lanes for independent swimming and also guided activities like water aerobics or Aquabike. For Vietnam and its vicinity, we're showing you all of the registered pools, some of them have no GPS coordinates and cannot be found on the map at the map. Please make contact with the sports center in Vietnam to check which activities are being offered and their timetables, considering that Vietnam Pools might have different rules and fares than other places. Are you on holiday and would like to keep fit and healthy? Swimia.com delivers you the effortless and quickest strategy to discover Aquagym in Vietnam near your present location. Swimming can be a sport for all ages. It helps young consumers to tone their muscles and grow healthy and robust. For the elderly, there's no better option to exercise than finding a Vietnam Swimming Pool to escape from day-to-day routine. We quite possibly don't know all the Pools in Vietnam. Are you missing any? Contact us!. One in the benefits of outdoor swimming in Vietnam would be the possibility to sunbathe during the summer season. Taking it with extra care, sunbathing is wholesome since introduces Vitamin D into the body, so the most beneficial choice seems to be switching amongst indoor and outdoor pools based on the season. There are a number of reasons why you must choose a heated swimming pool in Vietnam. Probably the most important 1 relies on the importance of keeping the body temperature stable. If the water is too cold, your body will try to warm it up and you will lose strength to swim correctly. Enjoy the best indoor pools in Vietnam and don't worry about the weather. These facilities are open all seasons and you can enjoy a swim at the same temperature every day of the year. Without a shadow of a doubt, swimming in Hanoi could be the most effective option to unwind right after work. Take a couple of minutes to browse Swimia's catalog to find a Swimming Pool in Hanoi. Let us tell you a secret to switch off while you might be in Haiphong: just pick out a Swimming Pool in Haiphong and plunge into the water! There's no additional helpful method. Whereas Da Nang is among the six most populous cities in Vietnam with nearly 752.493 residents, you shouldn't miss that one if you're going to Vietnam. Without a shadow of a doubt, swimming in Can Tho would be the most effective option to unwind right after function. 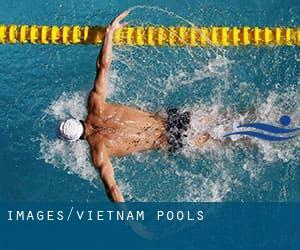 Take a couple of minutes to browse Swimia's catalog to find a Swimming Pool in Can Tho. Swimming is usually a wonderful idea to keep your body active in the course of your visit to Huế (Vietnam), or perhaps when you are a local. Swimia helps you to find your closest Swimming Pool in Huế. It's difficult to visit Vietnam with no dropping by Biên Hòa (with 407.208 residents). Currently Swimia is showing you all the Swimming Pool in Biên Hòa and also the closest pools located in its vicinity. Holding an estimated population of 283.441, Nha Trang is one of the most important cities in Vietnam. Check all the Swimming Pool in Nha Trang and its surrounding region. Holding an estimated population of 3.467.331, Ho Chi Minh City is one of the most important cities in Vietnam. Check all the Swimming Pool in Ho Chi Minh City and its surrounding area. Updated on 2019 360 Kim Ma Street , Ba Dinh District , Hanoi . Among all the activities offered by the center, when you are interested in swimming you will enjoy 80 meters, Outdoors. If you have to contact this Pool, email address and phone number are both number. 242 Tran Binh Trong Street , District 5 , Ho Chi Minh City . Among all the activities offered by the center, when you are interested in swimming you will take pleasure in 24 meters, Outdoors. Just in case you need to get in touch with this Swimming Pool just before dropping by, we only know the phone number. 5801 Nguyen Thi Minh Khai , District 1 , Ho Chi Minh City . Swimmers like you have reported Olympic size, 8 lanes, Outdoors. Also, you will find 25 meters, 8 lanes, Outdoors. Just in case you want to make contact with this Pool prior to dropping by, we only know the phone number. Updated on 2019 115 Nguyen Du St. , District 1 , Ho Chi Minh City . Among all the activities provided by the center, if you are enthusiastic about swimming you can enjoy Olympic size, 6 lanes, Outdoors. 1 Thanh Nien Road , Ba Dinh District , Hanoi . This sports center offers 18 meters, Indoor/Outdoor. Contact info for this Swimming Pool like phone number and email address are number. 17 Le Duan Boulevard , District 1 , Ho Chi Minh City . This sports center provides 20 meters, Outdoors. Contact information for this Swimming Pool such as phone number and email address are number. 6B Lang Ha Street , Ba Dinh District , Hanoi . Among all the activities offered by the center, in case you are keen on swimming you can enjoy ~17 meters, Outdoors. If you might want to make contact with this Swimming Pool, email address and phone number are both number. 65 Le Loi Boulevard , Saigon Centre , District 1 , Ho Chi Minh City . Swimmers like you reported 25 meters x 10 meters, 1 meters - 1.65 meters depth, 1 meters - 1.65 meters depth, Outdoors. Phone number and e-mail address are number for this Pool. 30 Le Loi St. , Hue . This sports center offers ~20 meters, Outdoors. Contact details for this Pool which include phone number and email address are number. 76 Yen Phu , Hanoi . Swimmers like you reported 25 meters, Outdoors. Phone number and e-mail address are number for this Swimming Pool. 242 Tran Binh Trang , District 5/Cholon/Chinatown , Ho Chi Minh City . This sports center delivers Olympic size, 5 lanes, Outdoors. For this Swimming Pool, only phone number is number here. 36 Thao Dien Road , District 2 , Ho Chi Minh City . This sports center provides 25 meters, 6 lanes, Outdoors. For this Swimming Pool, only phone number is number here. Updated on 2019 01 Tran Hung Dao , Nha Trang . This sports center provides 25 meters, 6 lanes, Outdoors. For this Pool, only phone number is number here. 33A Pham Ngu Lao St , Hai Ba Trung District , Hanoi . Among all the activities offered by the center, when you are interested in swimming you will enjoy 20 meters, Outdoors. Just in case you would like to contact this Pool before dropping by, we only know the phone number. 1 Pho Yen Phu , Tay Ho District , Hanoi . Among all the activities offered by the center, when you are interested in swimming you will take pleasure in 25 meters, Non-Chlorine Sanitized, Outdoors. Just in case you need to get in touch with this Swimming Pool just before dropping by, we only know the phone number.